A comprehensive Bill giving victims of crime new, enforceable rights, will be introduced in Parliament by Sir Keir Starmer QC, MP on October 20th 2015, with all party support. Sponsors include; Tim Loughton, (Conservative), Sarah Champion (Labour), Jenny Chapman (Labour), Sir Edward Garnier , (Conservative), Barry Sheerman (Labour) Caroline Lucas (Green) and Liz Saville-Roberts (Plaid Cymru). The Bill has been drafted by Claire Waxman , founder of Voice4Victims CIC and Harry Fletcher from Digital Trust CIC, following scores of complaints from victims of crime being re-victimised and failed by the Criminal Justice system. “As a stalking victim, I experienced first-hand the appalling treatment and re-victimisation at the hands of our Criminal Justice System. I naively believed that the system was structured to help victims, however, I soon learnt that victims’ needs and rights were neglected. Victims are faced with a terrible ordeal which only compounds their trauma and delays their recovery. The system continually placed the rights of my stalker above my rights to be protected ‘ said Claire Waxman, founder of Voice4Victims. Victims of crime have complained that communication and treatment were consistently poor across all criminal justice agencies. One victim complained about the frustration of her case dragging on for over 18 months “’my case was dragged out for 18 months before getting to court, it was the longest 18 months of my life and in the dark for most of that time causing me more trauma and distress’. Others have shown how they were not consulted about police charging decisions, and some not even notified of court proceedings that directly affected them and their case. Many victims describe the courtroom as a terrifying ordeal as they had not been supported during this difficult process. Routinely, victims were not involved in the parole process or told about release arrangements or license conditions of their perpetrator, with many suffering undue stress, years after the crime had been committed. A high proportion of victims reported significant financial loss as a result of the poor treatment they received with loss of work days due to illness or time attempting to navigate through the complex justice system with very little information, support and guidance. Claire Waxman & Harry Fletcher strongly believe that the strengthening of victims’ rights can only come via robust legislation and a culture shift of attitude towards victims. “We have had a victims’ code for over a decade, yet this code is not working effectively to protect victims’ rights. It is routinely ignored and breached by many of the agencies with no remedial sanctions and no one is held accountable for the inadequate treatment of victims. This is evident in our findings during this campaign, says campaign lead, Claire Waxman. The Bill places a responsibility on the Secretary of State to publish a victim’s legal framework and outlines numerous statutory duties to ensure that the framework is legally enforceable. The Bill ensures that a victim of crime shall be entitled to receive accurate & timely information throughout the process, to have access to services and justice, have direct communication with relevant agencies, have rights to review decisions, receive fair and non-discriminatory treatment and representation in all proceedings. In addition, amongst other entitlements, the Bill ensures that public authorities must not disclose any personal data about a victim and that victims of crime should have access prior to proceedings of any evidence which may cause alarm or distress. The Bill also gives victims the right to access financial compensation and to have any property seized as evidence, restored to them promptly without them incurring more costs and damages. Critically, for the first time ever , the Bill establishes a victims regulatory body which will enforce the Victims’ framework and will have a duty to investigate complaints from victims of crime if their rights have been breached. If the regulatory body upholds a complaint, it may impose a fine on the agency and the complainant shall have the right to refer an individual or agency to a disciplinary body. THE RIGHTS of victims need to be enshrined in law and significant change is needed to stop perpetrators from manipulating the court system for their own gains – that’s the verdict of a comprehensive report being released today (Tuesday 29 September 2015). The report, (summarised below) is being released as part of the Restoring the Balance campaign in England and Wales. The campaign was launched at 36 Bedford Row, London by keynote speaker Sir Keir Starmer KCB QC, survivors of stalking and domestic abuse and experts in the field of criminal, family and civil justice. 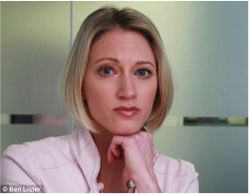 Claire Waxman, founder of Voice4Victims and a survivor of stalking, has campaigned for over four years for change to the court system in order to stop others from experiencing the trauma caused by stalkers making vexatious court complaints. In March 2015 Voice4Victims joined with Veritas Justice and Suzy Lamplugh Trust, who also work to support victims of stalking, to launch the campaign at the Chambers of Richard Wilson QC and William Harbage QC. Restoring the Balance runs parallel to the campaign of the same name in Scotland, which was launched in December 2014 and is being spearheaded by Ann Moulds of Action Scotland Against Stalking and Kim Leslie of Digby Brown Solicitors. 1 in 12 people who contact the National Stalking Helpline report experiencing vexatious complaints as part of the campaign of abuse against them. Cases reported to the helpline include incidents in which stalkers have brought financial claims against victims, even when no financial transactions have ever taken place between the two parties. Stalkers have also been known to make false accusations against their victims of crimes such as theft, fraud, or physical assault, and they have made claims of professional misconduct to professional disciplinary bodies. All of this is done either to cause maximum distress to the victim or to ensure that some level of contact is maintained between the two of them. Another common route for the continuation of stalking or domestic abuse is through access to the family court system where in some cases perpetrators who have previously expressed little or no interest in their child’s care or upbringing issue applications for a variety of orders to maintain contact with the victim and continue to exert power and control over them and their family. Sam Taylor, of Veritas Justice said: “These problems are frequently exacerbated by the disconnection between the civil, criminal and family law court system, which hinders a co-ordinated response and places families at further risk. These problems are compounded by the fact there are no rights for victims of crime enshrined in law. Whilst the Ministry of Justice has produced a document outlining best practice in supporting victims through the criminal justice system, called the Code of Practice for Victims of Crime (often shortened to ‘Victims’ Code’), this only provides a framework for a minimum standard of service a victim of crime should receive. In many cases those affected felt judicial ignorance about stalking and domestic abuse, including a lack of understanding of when contact with the victim or children was about further stalking, abuse and control, meant the courts did not recognise the role they were playing in perpetuating the cycle of abuse. Sir Keir Starmer KCB QC, stressed that whilst the system as it stands is not good enough, this is not because of a lack of care or empathy from the vast majority of those who work within it. Indeed, he believes in order to begin to answer this question we need to consider whether the framework and approaches that underpin the court system are fit for purpose. Sir Keir Starmer KCB QC delivered a key note speech in which he drew upon his experience as a human rights barrister and former Director of Public Prosecutions to explore why the court system is currently not working for a large number of those who use it, including the most vulnerable. Sir Keir outlined a victim’s journey before they arrive at a criminal court. A victim of crime will have made a report to the police and during the subsequent investigation, they should be consulted and informed by various units about the progress of the case. At some point before a case reaches court a discussion should take place with the victim about whether they would like ‘Special Measures’. This means that along the route, if done correctly, there are support mechanisms in place. Sir Keir contrasted this with civil justice in which there are two parties to proceedings who are accessing the courts in a very different way. The individual concerned could either be a defendant or claimant. These routes are very different and not as sophisticated. If an individual wants to access the court as a claimant then they have to find the resources to access the court, including finding representation. Even if that person is the victim, they are expected to take all the required steps to run the case. If the individual is the defendant then they are brought into the process and to some extent it is their job to apply to strike it out. There is no witness and victim support service in the civil or family courts. Contrast this with a criminal justice scenario where, should the system be used appropriately, a prosecutor should protect the victim. Sir Keir asked “Whose job is it to protect a victim in civil proceedings?” The answer, he suggests, lies in part with judges taking a more pro-active part in such proceedings. Sir Keir stated whilst the system as it stands is not good enough, this is not because of a lack of care or empathy from the vast majority of those who work within it. Indeed, he believes that in order to begin to answer this question we need to consider whether the framework and approaches that underpin the court system are fit for purpose. The debate about the role of prosecutors and the defenders has been at the forefront of legal discussions for more than 100 years; however the concept of victims’ rights has only begun to be considered by the legal profession and Ministry of Justice relatively recently. The first Victims’ Code of Practice was launched fewer than 20 years ago and was more of a bolt on. Sir Keir said that whilst it has been acknowledged that victims’ rights are important, there are still some major issues with appropriately and accurately recording these issues. Some who work in the criminal justice system are making assumptions about what victims want rather than listening to victims themselves. Jenny Beck spoke on the issue of Legal Aid. Jenny is a highly experienced family lawyer who has dealt with cases involving domestic abuse for 20 years. She heads up the Law Society’s Access to Justice Committee and co-chairs the Legal Aid Practitioners Group. Of these aims only one, making significant savings, has been achieved. The vast majority of cuts have impacted family law. Under LASPO individuals cannot access Legal Aid assistance unless they have experienced domestic abuse and they have to have evidence of that. The victim is required to provide a medical report which they are required to pay for, which creates a gateway which must be passed through before any form of support is available to the victim. 50% of people cannot get through the gateway even though they meet the criteria for receiving Legal Aid. Due to cuts some family lawyers are serving protective orders via text. However, Jenny is seeing cases in which the Crown Prosecution Service will not prosecute a breach of a protective order that has not been served in person. Without improved access to Legal Aid we will not be able to readdress the balance of justice in the court system. Two panel discussions took place during the seminar. The panel members in the first discussion were Sir Keir Starmer QCB KC, Ann Moulds, Claire Waxman and ACC Garry Shewan of Greater Manchester Police. The second panel consisted of Sir Keir Starmer QCB KC, Jenny Beck, Olivia and Sam Taylor. Both sessions were chaired by Paul Infield, Chairman of Suzy Lamplugh Trust and a barrister at 36 Bedford Row. Below is a summary of each topic of discussion. Paul Infield asked how the problem outlined by Claire and Sam, of a convicted abuser being granted access to the court, can be legislated against in order to stop other women going through this. Sir Keir said that there is not an unqualified right for a parent to have contact with their child or access to the courts. If there is a good reason, if it is necessary and proportionate, then these rights can be restricted. Sir Keir stated that the Human Rights Act 1998 gives an answer to this question if interpreted correctly. In regard to this problem, he does not think we need more legislation; instead we need better implementation of current legislation. Panel members were asked for their thoughts on the potential solutions to the problems that were outlined in the victims’ presentations. Sir Keir stated his strong belief that victims’ rights need to be enshrined in legislation otherwise remedial action will proceed a lot more slowly. This is not to say that police and prosecutors do not need more training but a legal framework of support is also required. ACC Shewan agreed that enshrining victims’ rights in law is overdue: “There has to be a point where you begin to enshrine the rights of the victim in law otherwise you are only able to go so far. All panel members stressed the need for cross party support to achieve a Bill of Rights for victims that will endure. Claire Waxman referred to her recently drafted proposals which received cross parliamentary support at their first hearing on 4th March. She also emphasised that any victims’ legislation would need to be supported with specific training. All speakers agreed victim blaming and stereotyping is still entrenched in many of the relevant agencies and that this needs to change in order to see positive effect. This discussion led on to a conversation about a need for a cultural shift within the family, civil and criminal court systems. Reference was made to the lessons that could be learnt from the recent revelations about the way child sexual exploitation has been handled in places like Rochdale and Rotherham. In these cases decisions were made not to prosecute based on assumptions of what a victim would or should do in cases where they had been a victim. Answers to these questions led to decisions being made on how ‘credible’ a victim would seem in the eyes of the courts. Central to changing attitudes within the court system is changing the attitudes of the judges themselves. There was much debate in both panel sessions about the need for high-quality judges who are more vocal, and willing to intervene and take robust case management decisions. In our current adversarial system judges are often in a ‘referee’ position as they oversee two parties arguing their respective cases. In civil court cases where one party makes an allegation that the complaint is vexatious, the burden is on the individual to come to apply to strike out the claim and to prove that it is vexatious. Paul Infield referred to the field of family law in which judges are moving towards a more inquisitorial-type system, something which is much more common on the continent. Sir Keir identified there needs to be a much better overlap between the civil and criminal courts. The police officer in charge of Claire Waxman’s case outlined the frustration he experienced at being unable to assist Claire when her stalker was bringing vexatious civil complaints against her. He said the police have no right to address the civil court if they are not an ‘interested party’. He asked if it would be possible to make a recommendation in any new victims’ law that where there is a criminal case ongoing or restraining order in existence, the police could apply for the right to address the civil or family court. ACC Shewan responded that more work needs to be done to explore what right the police have to address the courts and how they can utilise it appropriately. Sir Keir said that whilst the ability for police to be able to make the court aware of criminal proceedings is a good thing, he would be concerned that this could potentially let judges ‘off the hook’ and that judges should be making proactive judgements on whether a case is vexatious.